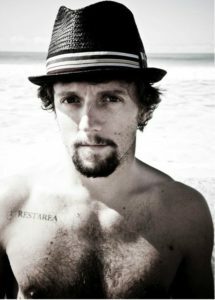 Born in 1977, Jason Thomas Mraz is an American singer-songwriter and he started his career playing at the coffee house Java Joe’s in the neighborhood of San Diego where he performed once a week for nearly three years. Java Joe was also the place where he recorded his live acoustic album Live at Java Joe’s – the album contain songs like 1000 Things, You and I Both and Halfway Home, performing with percussionist Rivera and bassist Ian Sheridan and was made available to download on iTunes on March, 2008, under the title: Jason Mraz: Live & Acoustic 2001. Waiting for My Rocket to Come (2002), Mraz first album, peaked at #55 on the Billboard 200 and the lead single The Remedy (I Won’t Worry) became his first top 10 single on the Billboard Hot 100, peaking at #3, becoming one of the biggest songs of 2003. The inspiration for the song was a high school friend who had been diagnosed with cancer. Three years later, 2005, the album was certified Platinum for selling 1m units. His second album, Mr. A-Z (2005) earned a Grammy Award nomination for Best Engineered Album and the lead single Wordplay entered the Billboard 200 at #5. 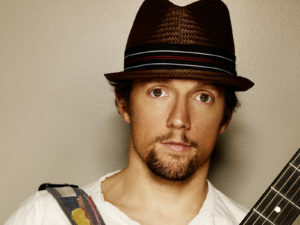 After touring for the album and being the opening act for several artist, Mraz released his third studio album, We Sing, We Dance, We Steal Things (2008) which debuted at #3 on the Billboard 200. The album also featured the top 10 of many international music charts and reached #3 in the US and Australia. It was certified Platinum for selling 1m units in March, 2009. I’m Yours, the album lead single, became Mraz’s first Top 10 Hit on the Billboard Hot 100, peaking at #6 on September 20, 2008; it spent 76 weeks on the Hot 100, longer than any other song in the magazine’s 51-year history until being broken by Imagine Dragons’ Radioactive in 2014. The song was successful internationally topping charts all around the globe and in May 2012 it had over 125,000,000 hits on YouTube and it became the first song to top the charts in four different formats. 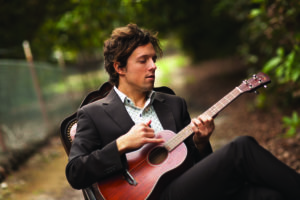 In 2009, Mraz was awarded the Hal David Starlight Award from the Songwriters Hall of Fame and in 2010 Mraz won his first two Grammy Awards – Best Male Pop Vocal Performance for Make It Mine and Best Pop Collaboration for Lucky with Colbie Caillat. Love Is a Four Letter Word (2012), the fourth album, reached #2 on the Billboard 200 and the top 20 in 10 other countries; I Won’t Give Up, the lead single, debuted at #8 on the Billboard Hot 100, #1 on the Digital Songs chart and charted in 15 countries in total. It was certified 4x multi-platinum in October 2013 for selling in excess for 4 million units and the official lyric video gained over 2.5 million views in its first 10 days on YouTube. Mraz’s fifth studio album and first acoustic album Yes! 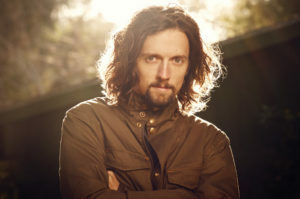 (2014) was recorded with all-female folk-rock band Raining Jane – they co-wrote A Beautiful Mess for his album We Sing, We Dance, We Steal Things – and, apart from the song the cover for It’s So Hard To Say Goodbye To Yesterday of the Boyz II Men, all the songs were written by Mraz and Raining Jane. The lead single Love Someone was released on May 19, 2014, and on June 20, 2014, Mraz released We Can Take the Long Way, a music trilogy for the first three songs on Yes! – Love Someone, Hello, You Beautiful Thing and Long Drive. On September last year he debuted in the musical Waitress on Broadway, as Dr. Pomatter and he played the role to the end of the show on February 11, 2018; Mraz acted along with Sara Bareilles with whom he previously sung Bad Idea and You Matter To Me, in 2015. 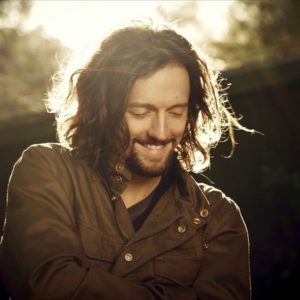 Mraz is one of my favorites on the modern musical scenario and as I said on the beginning of this post, he relaxes me and puts me into a very good mood and if you never listened to him – which is probably not possible! – you should definitely give it a try: I’m sure his musical style that has a heavy Brazilian music influence, btw, will make you feel happy and ready to face life with a broad smile. Wanna know more about this amazing singer? Check his official website and follow him on his official FB page – and while you’re there, follow our official FB page as well!! This entry was posted in Music, Pop, Uncategorized and tagged albums, awards, Broadway, facebook, Jason Mraz, music, official page, pop, Sara Bareilles, website, youtube by hadassa. Bookmark the permalink.